It is now generally accepted that proteins are the primary targets of general anesthetics. However, the demonstration that the activity of a protein is altered by general anesthetics at clinically relevant concentrations in vitro does not provide direct evidence that this target mediates pharmacological actions of general anesthetics. Here we report on advances that have been made in identifying the contribution of individual ligand-gated ion channels to defined anesthetic endpoints using molecular mouse genetics. Gamma-aminobutyric acid (GABA)A receptor subtypes defined by the presence of the α1, α4, α5, β2, and β3 subunits and two-pore domain potassium channels (TASK-1, TASK-3, and TREK) have been discovered to mediate, at least in part, the hypnotic, immobilizing or amnestic actions of intravenous and volatile general anesthetics. Moreover, using tissues from genetically modified mice, specific functions of GABAA receptor subtypes in cortical and spinal neuronal networks were identified. Genetically modified mice have been very useful for research on mechanisms of anesthesia and have contributed to the functional identification of general anesthetic targets and of the role of these targets in neuronal networks. This article is accompanied by an editorial. Please see Can J Anesth 2011; 58(2). Aujourd’hui, il est universellement accepté que les protéines sont les cibles principales des anesthésiques généraux. Cependant, la démonstration que l’activité d’une protéine est modifiée in vitro par les anesthésiques généraux en concentrations pertinentes d’un point de vue clinique ne constitue pas une donnée probante directe prouvant que cette cible est le médiateur des actions pharmacologiques des anesthésiques généraux. Nous rapportons ici les progrès accomplis dans la détermination de la contribution des canaux ioniques individuels sensibles à un ligand à la définition des critères anesthésiques en utilisant la génétique moléculaire de la souris. On a découvert que les sous-types de récepteurs GABAA tels que définis par la présence des sous-unités α1, α4, α5, β2, et β3 et les canaux potassiques à deux domaines P (TASK-1, TASK-3 et TREK) médiaient au moins partiellement les actions hypnotiques, immobilisantes ou amnésiques des anesthésiques généraux intraveineux ou volatils. De plus, en analysant des tissus de souris génétiquement modifiées, nous avons pu identifier certaines fonctions spécifiques des sous-types de récepteurs GABAA dans les réseaux neuronaux corticaux et rachidiens. Les souris génétiquement modifiées ont été très utiles à la recherche sur les mécanismes de l’anesthésie et ont contribué à l’identification fonctionnelle des cibles des anesthésiques généraux et du rôle de ces cibles dans les réseaux neuronaux. Based on the work by Meyer, Overton, and others, it has long been assumed that general anesthetics would exert their pharmacological effects by non-specifically perturbing the neuronal plasma membrane. However, it was later demonstrated in electrophysiological experiments that general anesthetics modulate the activity of a variety of targets, including ligand-gated ion channels, such as gamma-aminobutyric acid (GABA)A receptors, N-methyl-d-aspartate (NMDA) receptors, α-amino-3-hydroxy-5-methyl-4-isoxazole propionate (AMPA) receptors, and nicotinic acetylcholine receptors (for review see1). These studies have been performed in native tissues or in recombinant systems, the latter allowing the characterization of the sensitivity of defined receptor subtypes to general anesthetics. A potential limitation of the recombinant approach is that there is no guarantee that recombinant receptors behave in the same way as native receptors in a particular assay. In situ, neurotransmitter receptor subunits interact with other proteins (e.g., kinases, structural proteins) that may affect functional properties of the corresponding receptor. More importantly, the observation that a given anesthetic agent modulates the activity or directly activates or inhibits a receptor or ion channel target does not provide evidence that the target is essential for the anesthetic actions of the agent. If the target is essential, for which part of the pharmacological spectrum of the general anesthetic is the target responsible? Genetically modified worms (C. elegans) and mice (the focus of this review) have been used to address the question of the functional significance of a specific target for the general anesthetic action of a given drug. A great variety of mouse molecular genetics techniques have evolved over the past two decades. Thus far, the two most important techniques with respect to research on anesthetic mechanisms are (1) targeted gene inactivation (“knockout”), and (2) targeted introduction of a point mutation (“knock-in”). In the targeted gene inactivation (“knockout”) approach, a mutation (e.g., deletion of the entire gene, elimination of an essential exon, or insertion of a premature stop codon) is introduced into the gene of interest, which results in the abolishment of the expression of this gene. The basic idea is that if the gene product is essential for any action of a general anesthetic, this action would be missing in the mutant mice. Problems associated with the knockout approach include compensatory regulations that may involve upregulation of related receptor subunits or channels, which may be obscuring the effects of the gene knockout. A case in point are the GABAA receptor α1 subunit knockout mice. Although it is known from other approaches that α1 plays an important role in mediating the sedative action of benzodiazepines,2,3 the α1 knockout mice are even more sedated by diazepam than wild type mice,4 an outcome that may be explained by the upregulation of α2 and α3 subunits in regions where α1 is usually expressed, e.g. the cerebral cortex.5,6 Another interesting example for a compensatory upregulation is that α6 knockout mice exhibit upregulation of a two-pore domain potassium channel, TASK-17 in the cerebellum. In summary, a global knockout mouse may be thought of as having two modifications, i.e., the gene inactivation and the reaction of the animal to the gene inactivation. As a rough guide, if there is a phenotypic difference between knockout and wild type animals, this usually points to the inactivated gene being responsible for the difference; however, no phenotypic difference could mean that the inactivated gene is not involved in the response in question or that it is involved but the compensatory regulations are preserving the wild type phenotype. Sometimes knockout phenotypes may be severe, affecting multiple neuronal systems or the ability to respond in a particular test, and this may also make experiments difficult to interpret. In contrast, knock-in mice carry more subtle mutations, e.g., single point mutations that block only specific functions of the protein in question. For example, histidine to arginine point mutations in the benzodiazepine binding site of GABAA receptor α subunits α1, α2, α3, and α5 resulted in the respective GABAA receptors becoming insensitive to modulation by diazepam, while the response to the physiological neurotransmitter GABA was preserved.8 Thus, the protein retains substantial functionality, and the expectation is that compensatory secondary changes would not occur or at least they would be substantially smaller than with knockout mice. The GABAA receptors are responsible for the majority of fast inhibitory neurotransmission in the central nervous system. The benzodiazepines, which are allosteric modulators of GABAA receptors containing the α1, α2, α3, or α5 subunits, are widely used as hypnotics, anxiolytics, muscle relaxants, and anticonvulsants. The GABAA receptors have long been shown to be modulated or even directly activated (although at concentrations that may not necessarily be clinically relevant) by general anesthetics, such as the intravenous anesthetics etomidate, propofol, and pentobarbital, and the volatile anesthetics like isoflurane, enflurane, and halothane (Fig. 1). The GABAA receptors have also been identified in non-neuronal tissues, e.g., in airway smooth muscle epithelium, where they increase β-adrenergic relaxation of human airway smooth muscle14 and are involved in mucus overproduction in asthma.15 This raises the possibility that such non-neuronal GABAA receptors are contributing to clinical effects of GABAergic drugs or to the phenotypes of global knockout mice. Recently, knockout models have been employed to elucidate the amnestic actions of general anesthetics. 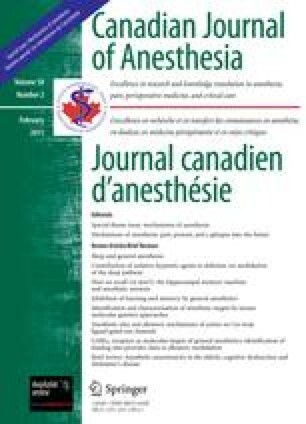 Studies report 0.10-0.20% incidence of intraoperative awareness among patients, with certain risk groups showing even higher incidence rates.19,20 Given the large number of anesthesias performed, this frequency translates into approximately 60,000 patients per year in North America.21 Thus, it is essential to understand the mechanisms underlying the amnestic effects of anesthetics. Naturally occurring GABAA receptors differ in their sensitivity to etomidate. Studies on the Rdl-receptor from Drosophila melanogaster, a close relative of the mammalian GABAA receptor, revealed that this receptor is insensitive to etomidate.34,35 In the second transmembrane region, this etomidate-insensitive Rdl-receptor carries the amino acid, methionine, at a position corresponding to the asparagine (N265) of the β2 and β3 subunit in etomidate-sensitive GABAA receptors. Similarly, β1-containing GABAA receptors, which are an order of magnitude less sensitive to etomidate,36,37 carry a serine residue at the corresponding position. It was shown that mutation of this asparagine (N) in β2 or β3 to serine (S) or methionine (M) renders GABAA receptors etomidate-insensitive. While the β2(N265S) mutation rendered receptors insensitive to etomidate but sensitive to propofol, the β3(N265M) mutation rendered receptors insensitive to both etomidate and propofol.38-40 Mice carrying these two mutations have revealed interesting insights into the contribution of β2- and β3-containing GABAA receptors to anesthetic responses. Glutamate-mediated neurotransmission is attenuated by several volatile and gaseous anesthetics.49,50 This raises the possibility that anesthetic endpoints of at least some compounds are mediated by glutamate receptors. A small body of work has focused on the effects of anesthetics on NMDA and AMPA receptors. NMDA receptors are tetrameric transmembrane channels composed of an GluN1 subunit (previously also called NR1 or GluRξ1) combined with GluN2 (previously also called NR2 or GluRε) and/or GluR3 subunits.51 Eight functional splice variants have been noted for the GluN1 subunit,52 while four types of GluN2 (GluN2A-D) and two types of NR3 (NR3A-B) subunits are encoded by separate genes.53 Some anesthetics, such as nitrous oxide and ketamine, have minimal effects on GABAA receptors, but they potently inhibit NMDA receptors.50,54 Thus, it is possible that the behavioural effects of these anesthetic drugs are mediated, at least partially, by their NMDA-inhibiting actions. A number of studies by Sato et al. 55,56 demonstrated that the hypnotic effects of ketamine and nitrous oxide were attenuated in NMDA receptor NR2A subunit knockout mice, specifying the NR2A subunit as one of the targets of these drugs. However, the deletion of the NR2A subunit also dampened the LORR induced by mainly GABAergic agents, such as pentobarbital, diazepam, and midazolam, suggesting that the behavioural phenotype might be due, at least in part, to compensatory mechanisms secondary to the NR2A knockout, which also affect other neurotransmitter systems. AMPA receptors are tetramers made up of combinations of four subunits: GluA1, GluA2, GluA3, and GluA4 (previously also called GluRA–D, GluR1-4).57 AMPA receptor properties are predominantly determined by the GluA2 subunit, which conveys calcium permeability of the receptors. GluA2 subunit-containing AMPA receptors are inhibited by barbiturates, whereas the deletion of the GluA2 subunit renders AMPA receptors predominantly insensitive to barbiturate effects.58 Interestingly, GluA2 knockout mice show increased sensitivity to barbiturate-induced LORR. Moreover, the same kind of hypersensitivity was observed to the effects of volatile anesthetics isoflurane, halothane, sevoflurane, and desflurane, which do not affect AMPA-receptor activity at clinically relevant concentrations, suggesting compensatory mechanisms in GluA2 knockout mice.59 These findings suggest that caution is required when attributing the changes in behavioural endpoints to receptor-drug interactions. In this case, the increased LORR-sensitivity is likely a result of downstream alterations in other systems caused by the genetic modification rather than the genetically-modified receptor system itself. Two-pore domain background potassium channels modulate neuronal excitability. There are five subunits (TREK-1, TREK-2, TASK-1, TASK-3, and TRESK) known that can homo- and heterodimerize, and channels are found both pre- and postsynaptically. All five subunits can be modulated by halothane, but they are insensitive to clinically relevant concentrations of intravenous anesthetics. In TREK-1 knockout mice, the concentrations of the volatile anesthetics, chloroform, halothane, sevoflurane, and desflurane, required for LORR were increased significantly, although the effect size was small as were the concentrations required for immobilization in the TCWR assay, indicating that TREK-1 plays a limited role in mediating the hypnotic and immobilizing actions of these volatile anesthetics.60 The concentration of halothane required for LORR was similar in TASK-1 knockout mice and wild type mice; however, in TASK-1 knockout mice, a higher concentration of isoflurane was required for LORR. Conversely, the concentration of halothane, but not of isoflurane, required for suppression of tail clamp withdrawal was increased.61 Similarly, TASK-3 knockout mice require higher concentrations of halothane, but not of isoflurane, for suppression of the TCWR.62 These results indicate a relatively limited but nevertheless significant role of TASK-1 and TASK-3 channels in the hypnotic and immobilizing actions of volatile anesthetics, in line with the idea that volatile anesthetics likely have multiple molecular targets. The two in vivo studies from Reynolds et al. 41 and Jurd et al.43 indicated that different endpoints of general anesthetics are mediated by distinct populations of GABAA receptor subtypes. As these distinct receptor populations are differentially distributed in the central nervous system, this finding also nicely corroborates the idea that individual endpoints of general anesthetics are mediated by neuronal populations in different brain regions. The cerebral cortex has been shown to mediate sedation induced by volatile anesthetics64 and benzodiazepines,6 which is in line with the observation that β2-containing GABAA receptors (contained in the most abundant receptor subtype α1β2γ2) are highly expressed in this brain region. Cortical and subcortical structures mediate hypnosis, and express both β2 and β3.65 The immobilizing action of general anesthetics, including etomidate and propofol, has been shown to be largely dependent on the spinal cord,66-69 which displays high expression of β3.70 The observation that distinct subpopulations of GABAA receptor subtypes in different parts of the central nervous system mediate different endpoints of general anesthesia, such as hypnosis and immobility, offers the possibility to perform studies using specific isolated networks, e.g., the cortex or the spinal cord. Such studies in isolated networks can bring deeper insights into the mechanisms of anesthesia and are useful in vitro systems for the development and testing of new drugs (Fig. 4). As outlined above, selectivity for general anesthetic actions is observed at the molecular and the behavioural level. Thus, it seems reasonable to assume that this might as well be mirrored on the level of neuronal networks. Organotypic slice cultures from the neocortex are one example of an isolated neuronal network. They were introduced by Gähwiler in 198171 and have been proven to show in-vivo-like morphology, physiology and, most importantly for neuropharmacological studies, GABAA receptor subtype distribution.72, 73, 74, 75 Moreover, as the diffusion of anesthetics into the tissue is comparatively fast,76,77 organotypic slice cultures are an ideal tool for investigating anesthetic actions. Etomidate is a positive modulator of GABAergic inhibition, acting predominantly via β2- and β3-containing GABAA receptors. It is possible that these two subpopulations of GABAA receptors (those containing β2- and those containing β3-subunits) belong to different inhibitory networks. By using β3 (N265M) point mutant mice, where etomidate actions are largely restricted to β2-containing GABAA receptors, these networks and their impact on cortical theta oscillations can be experimentally separated. Indeed, cortical theta oscillations were found to be depressed in organotypic slice cultures from the neocortex of β3 (N265M) mice, while no depression was observed in wild type slices.81 By this experimental separation of the two networks, it was demonstrated that etomidate induces opposing actions on cortical oscillations via different GABAA receptor populations. The differential effects of etomidate and propofol are also detectable at the synaptic level. The actions of GABAergic synapses can be recorded as inhibitory postsynaptic currents. An inhibitory postsynaptic current is characterized by an initial very steep rising phase, a first phase of rapid current decay and a second phase of slow current decay. In cortical slice cultures, etomidate exclusively affected the slow phase, while propofol had effects on both phases of the current decay.87 These results indicate the following: (1) the differential clinical effects of etomidate and propofol are mirrored on the level of the cortical network and also on the level of the GABAergic synapse; and (2) as the effects of both drugs were qualitatively different in slices from β3 (N265M) mutant mice compared with wild type mice, they can be attributed to different subpopulations of GABAA receptors. These results support the view that differences in the molecular interactions of anesthetics with their targets lead to distinguishable differences in network firing effects, which finally translate into distinct clinical profiles (Fig. 5). A crucial factor in choosing a drug for inducing anesthesia in a specific clinical setting is the pattern of potential adverse side effects. In fact, all anesthetic agents in current use display a long list of unwanted actions, including cardiovascular instability, hypothermia and postoperative shivering, respiratory depression, postoperative vomiting, and nausea. The molecular and cellular mechanisms contributing to these side effects remain to be elucidated. Interestingly, studies on genetically modified mice provided first evidence that certain GABAA receptor subtypes mediate unconsciousness and immobility, whereas others are involved in causing cardiovascular depression and hypothermia.43,44 These findings suggest that the desired and undesired clinical actions of anesthetics are mediated, at least in part, by different molecular targets. Thus, improving the selectivity of anesthetic agents may open new avenues for the development of new compounds with an improved side effect profile. Indeed, there is a need for improved anesthetic compounds, in particular for high-risk populations as well as in very young and very old patients. Research on genetically modified mice, e.g., knockout and knock-in mutants, has led to significant progress in the identification and functional characterization of the anesthetic targets in the central nervous system. These investigations define the scientific basis for the rational design of improved anesthetic compounds in the future. Furthermore, combined in vitro and in vivo studies provide important clues about the specific functions of neural networks and ion channels during wakefulness, sleep, and general anesthesia. The authors are supported by grant No. AN 321 / 2-1 from the German Research Foundation (DFG) and award number GM086448 from the National Institutes of Health. The content is solely the responsibility of the authors and does not necessarily represent the official views of the National Institute of General Medical Sciences or the National Institutes of Health.